The Luc Mbah A Moute Foundation – a registered 501(c) 3 not for profit organization, founded by Houston Rockets player Luc Mbah A Moute. The foundation is dedicated to inspire children around the world to believe in themselves, believe in their chances no matter how hard their circumstances are. 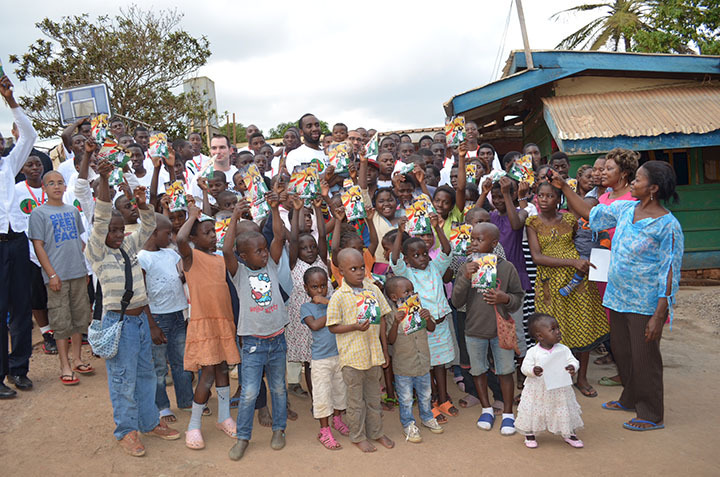 Luc Mbah A Moute is determined to help the kids of the U.S., Africa and the rest of the World, contributing in issues such as education, health, and nutrition. Partnering with established and key organizations, the Foundation take action and make an impact in communities and individuals that need help and can use Luc’s story as an inspiration to set goals for their lives. Guided by its founder, the Luc Mbah A Moute Foundation has helped several thousand individuals to follow their dreams, get medical treatment, get school supplies, help the community and more through different programs such as the boys and girls of the future, supporting the community, notebook giveaway, bringing the gift of hearing to the world, going back to give back and more. Luc Richard Mbah a Moute is a Cameroonian professional basketball player for the Houston Rockets in the NBA. Mbah a Moute also plays for the Cameroon National Basketball team. Mbah a Moute attended Montverde Academy in Florida from 2001 to 2005. He would be Westwood-bound to play for Ben Howland and UCLA. He was named Pac-10 Freshman of the Year. Mbah a Moute gave up his eligibility to play college basketball at UCLA for his senior year to enter the 2008 NBA draft, in which he was selected by the Milwaukee Bucks with the 37th overall pick. Mbah A Moute played the Sacramento Kings, Minnesota Timberwolves, Philadelphia 76ers, Los Angeles Clippers and currently plays for the Houston Rockets. Luc also serves as a motivational speaker and gives his inspirational story to help people overcome challenges as in life and follow their dreams. 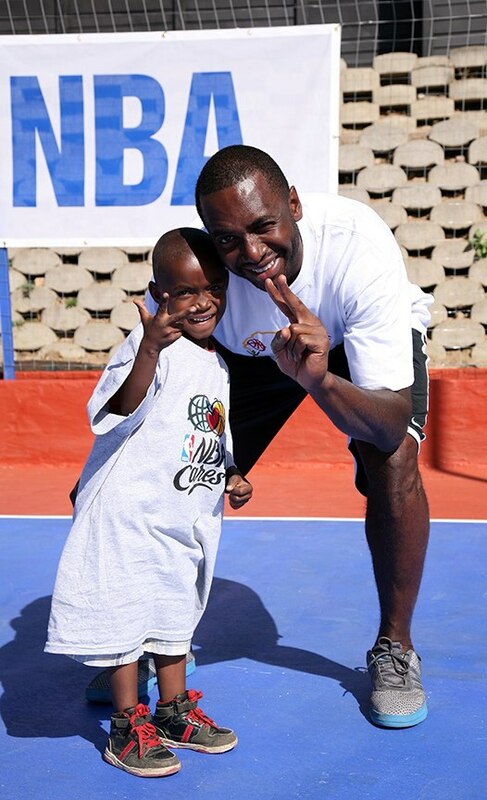 In 2010, Luc launched the Luc Mbah A Moute Foundation. Drawing upon his recognizable celebrity combined with pride of his heritage and passion for philanthropy. He formed the Luc Mbah A Moute Foundation to improve the quality of life for people in Africa, the United States and around the world. On November 28, 2017, the Mayor of Houston, Sylvester Tuner proclaimed the “Luc Mbah A Moute Day” for his Hurricane relief efforts and the work he has been doing around the world.